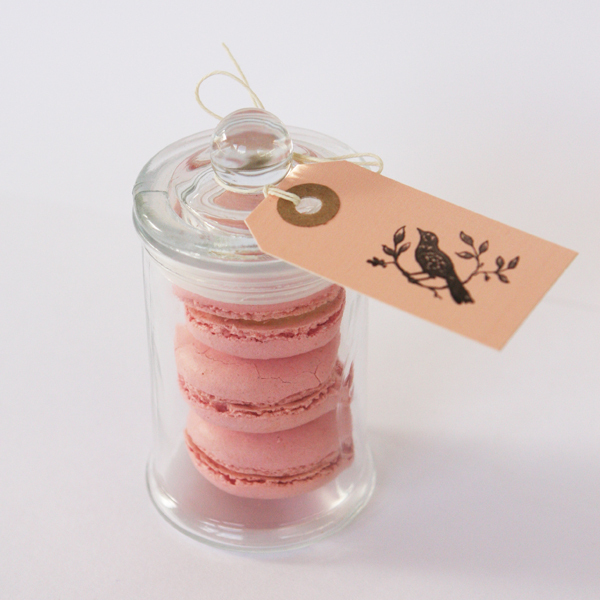 One of our most popular products in the SDD shop are these simple yet beautiful Mini French Apothecary Jars. 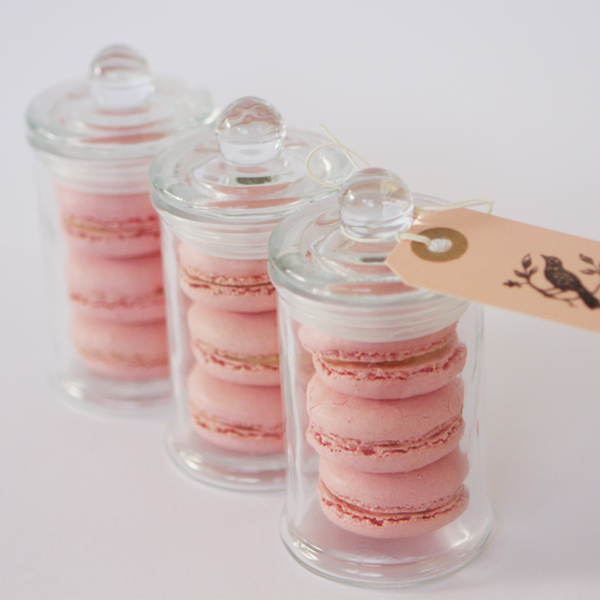 They are mainly used for favours or bonbonerie at weddings and christenings but also at birthday parties. I thought some delicious Authentic French Macarons would look perfect inside and I was right. They are gorgeous. You have the magic touch! Gorgeous. PS Have just included you in my Versatile Bloggers awards. Well deserved. Just adore your blog. This is so dainty and so feminine. Love it!